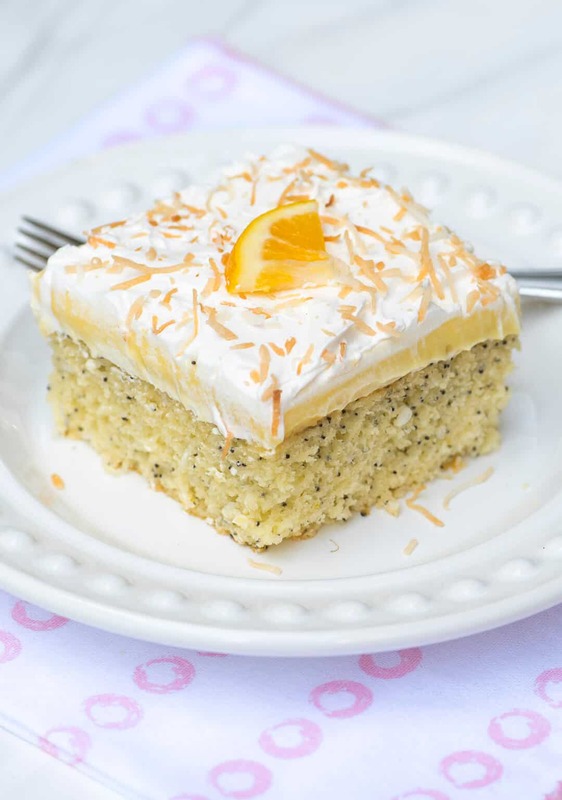 Lemon Coconut Poppy Seed Cake is a light, delicious choice that is perfect for any spring or summer gathering. 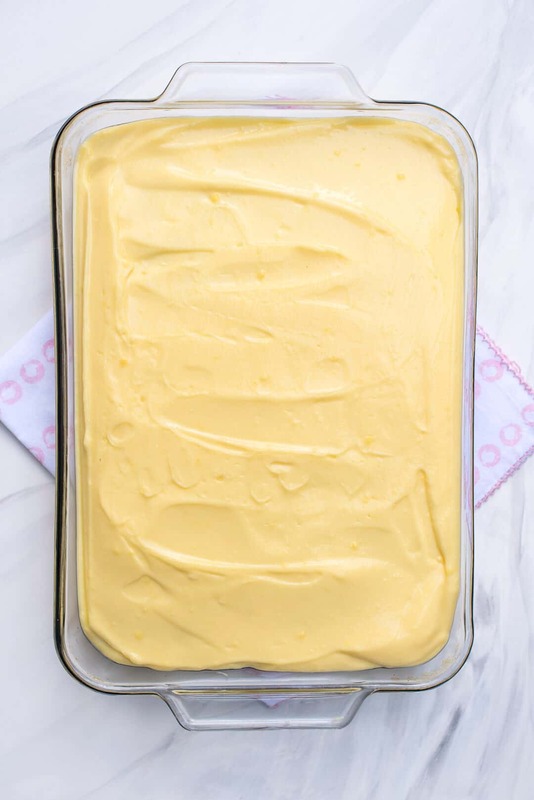 This easy cake mix recipe is a fabulous, no-fuss dessert option. Spring has sprung, friends. The only problem? The weather has not caught up. Just as the flowers had begun blooming and that spring feeling was in the air, our weather man had the audacity to report that the biggest storm of the season was on it’s way. The Pineapple Express hit the Bay Area several days ago but did not deliver quite the wallop we were expecting. Instead, we’ve just had dreary, grey skies and wet sidewalks on our walks with the pups. All this gloom and doom in the skies has put me in the mood for cake. That’s my excuse, anyway. 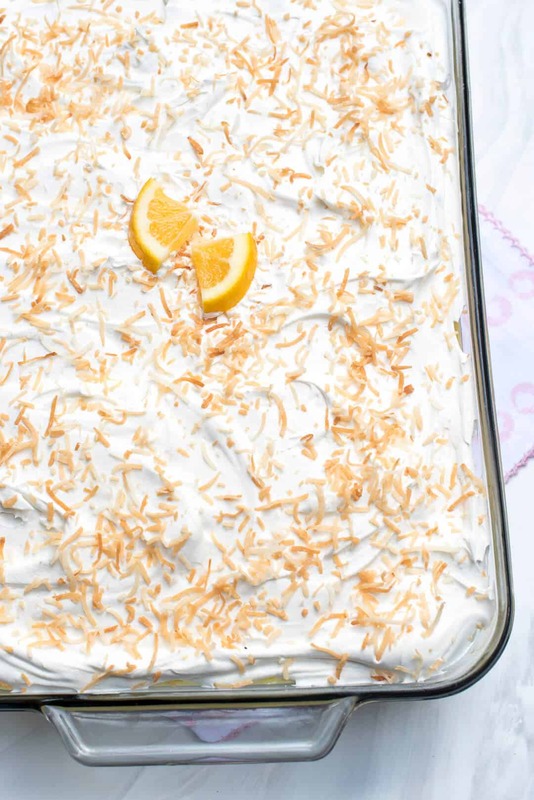 Inspired by our “Pineapple Express”, I decided to whip up this deliciously light, tropical-inspired cake that is perfect for your next potluck or any spring or summer gathering. 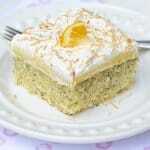 A basic white cake mix is fancied up with the zest and juice of a lemon, some shredded coconut, and poppy seeds. Once baked and completely cooled, it’s topped with a silky, coconut-spiked pudding mixture. 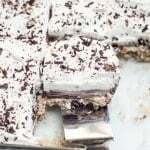 Then it’s topped off with a layer of whipped topping. Easy. No-fuss cake recipes deserve pretty, but simple cake decorations and it’s always fun to include a sneak-peak of the flavors you’ll find inside. In this case – lemon and coconut. 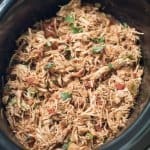 I’ve included the easy instructions for toasting shredded coconut for the topping on the printable recipe below. Toasted coconut will keep well for several weeks if stored in an airtight container like a mason jar. Use it to decorate cookies, cakes, and cupcakes, sprinkle it on your morning oatmeal or over ice cream for a delicious dessert. I’m all about 13″ x 9″ desserts! They are perfect for serving a group, portable, and have a nice vintage-y feel to them that appeals to me. 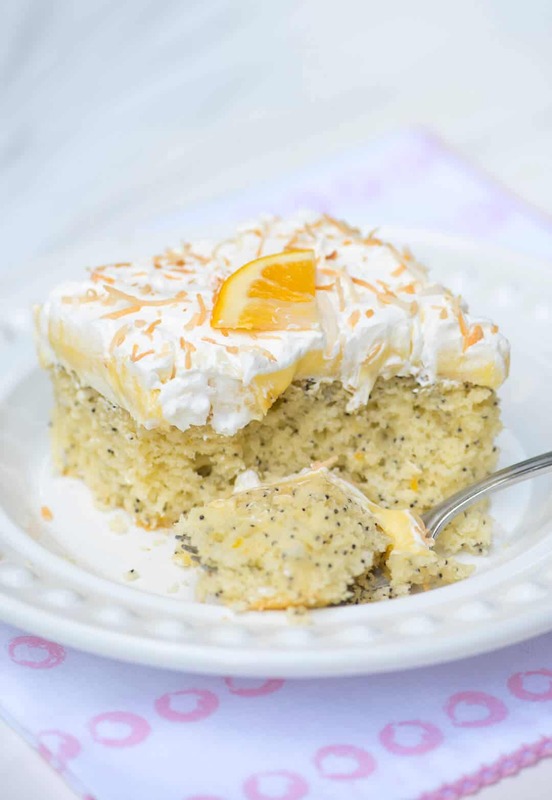 I can easily picture this Lemon Coconut Poppy Seed Cake at a church or PTA potluck, a summer backyard BBQ, or even on a holiday dessert table. 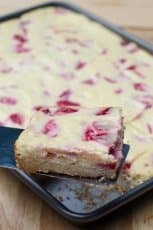 More easy cake mix recipes! 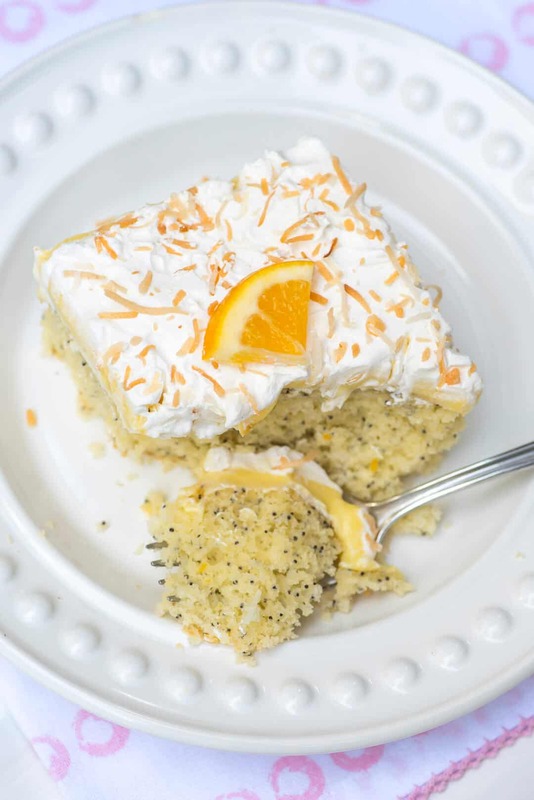 This easy Lemon Coconut Poppy Seed Cake is a light, delicious choice that is perfect for any spring or summer gathering. Prepare cake mix with water, oil, and eggs (see recipe note) according to package directions. Use a spoon to fold 1/2 cup sweetened shredded coconut (not toasted), lemon zest, lemon juice, and poppy seeds into batter. Pour into a greased 13" x 9" baking pan. Bake at 350 degrees according to package directions for a 13" x 9" pan (approximately 29 to 32 minutes) or until a toothpick inserted in the center comes out clean. Cool completely. Add both packages of pudding mix, milk, and coconut extract to a large mixing bowl. Whisk for 2 minutes then let stand for 2 minutes or until soft-set. Spread over the cooled cake. Spread with whipped topping. Sprinkle with toasted coconut and garnish with lemon slices, if desired. My Betty Crocker cake mix called for the amount of water, oil and eggs shown in the ingredient list above. Check your cake mix package for ingredient amounts and cooking times. The cake shown in this post was prepared with 3 whole eggs. 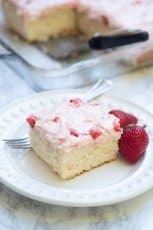 For a lighter white cake, use just the egg whites. To toast coconut: Preheat oven to 325 degrees F. Place 1/3 cup coconut on parchment paper lined baking sheet and transfer to the oven. Bake for 4 minutes. 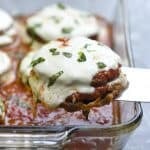 Toss with a spatula and return to oven for an additional 3 to 4 minutes, or until browned to your liking. 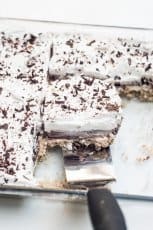 Make-Ahead Instructions: Follow as written but after spreading pudding mixture on top of cooled cake, cover tightly with plastic wrap or foil and refrigerate overnight. 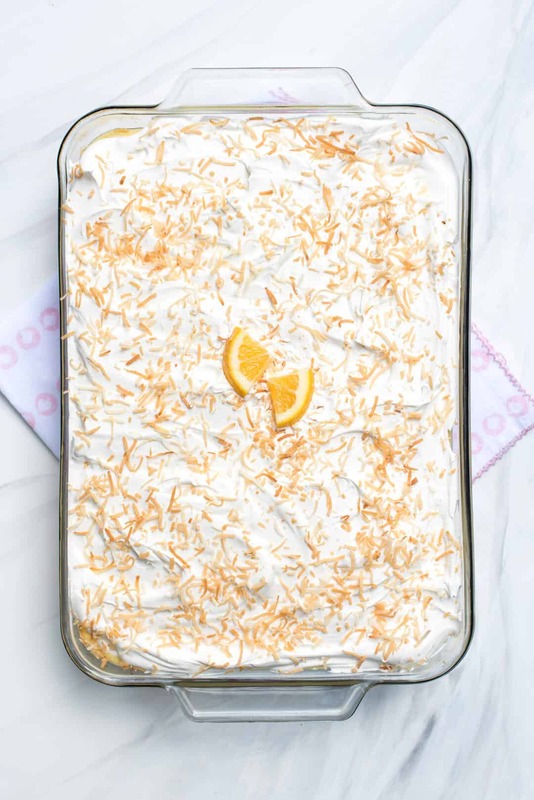 Spread with whipped topping and garnish with toasted coconut and lemon slices just before serving. 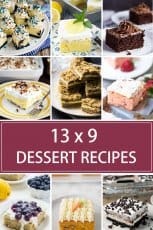 I make desserts for my church the first Sunday of every month, so, I am always looking for 9x 13 recipes because they feed a lot of people! 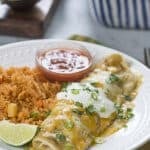 This looks so good and will be perfect for May! Do you think using coconut pudding instead of vanilla with coconut extract would be too much coconut? 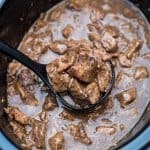 If I were to use coconut pudding I’d probably either eliminate the extract or just use about half and then taste and add more if I thought it needed it. 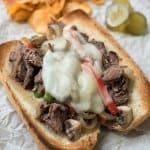 I’m sure it will be delicious!